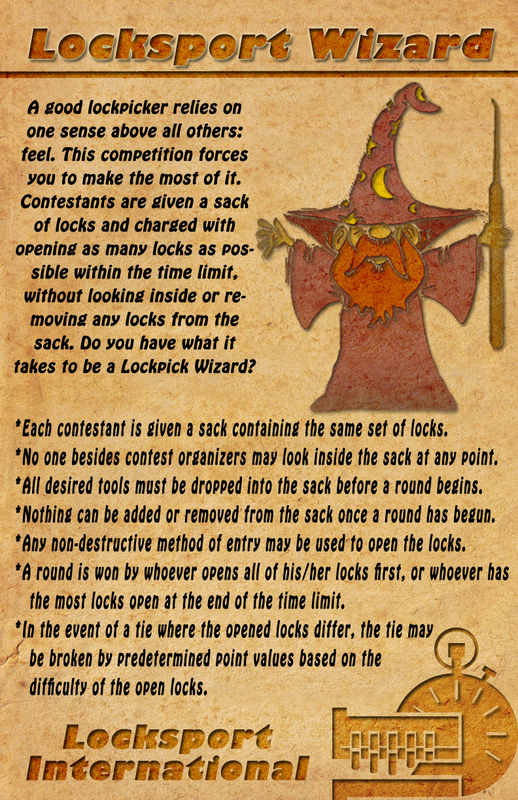 The core of locksport is competition. While we do review security considerations at every turn, L.I is about being the best at solving very, very difficult puzzles. Every meeting, we practice opening locks of all kinds. We learn techniques for making the picking process quicker, smoother and more accurate. The end goal is to be able to consider any of the myriad of locks in the wild and make the right selection of tool and approach then handle the picking of the lock with speed and grace. Thank you to Mike Metzler for donating the time to make these posters.